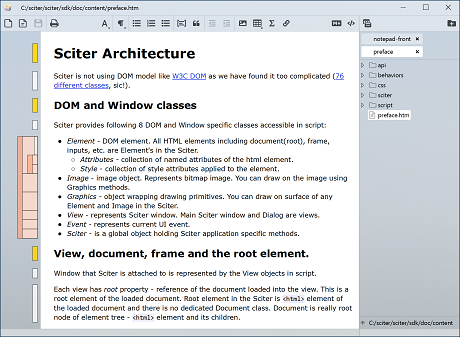 New version of Notes with Sciter 4.2.5.3 is on the site. This is mostly maintenance release – many bugs were fixed since version 4.0. Among other things is better compatibility with Windows 10 Acrylic theming. Yet I’ve published HTML Notepad application that can be used with Notes to edit particular note with access to its source HTML. Expect more tide integration of Notes and Notepad, like “Open this Note in Notepad” button.